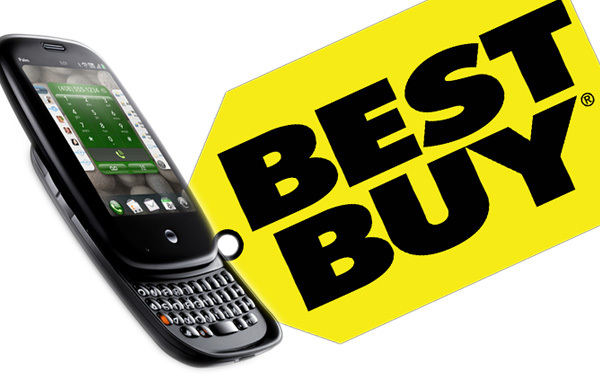 Here's something we didn't really expect, fellow brand-new webOS/Pre-related site http://webosareana.com claims that they have it on good authority that Best Buy will be the exclusive retailer of the Palm Pre for the first 60 days. Well, you'll be able to pick them up at Sprint Stores, too. We have a saying at Sprint, we are going to "Instinct" it. The idea being that every so often Sprint launches a phone on their network that they believe deserves the full media package because it could potentially draw their (second1) favorite kind of customer - the new one who signs up for the Simply Everything Plan. In other words -- you know for awhile there all you saw were Instinct commercials on TV? It'll be like that, only more so with the Pre. A Huge Launch.